First of all, thanks to all the hard working efforts of the great crew of guys who make it all happen on raceday, from Terry Martin and his Dad to Victor Schmitt and Pouyan Ez, thanks as without your hard efforts, none of this is possible. It was cold and ranging from damp to rainy all day. The tires were going on and off the cars almost every hour through the day and we had a number of small issues to take car of an the cars and everyone pitched in to make it happen. 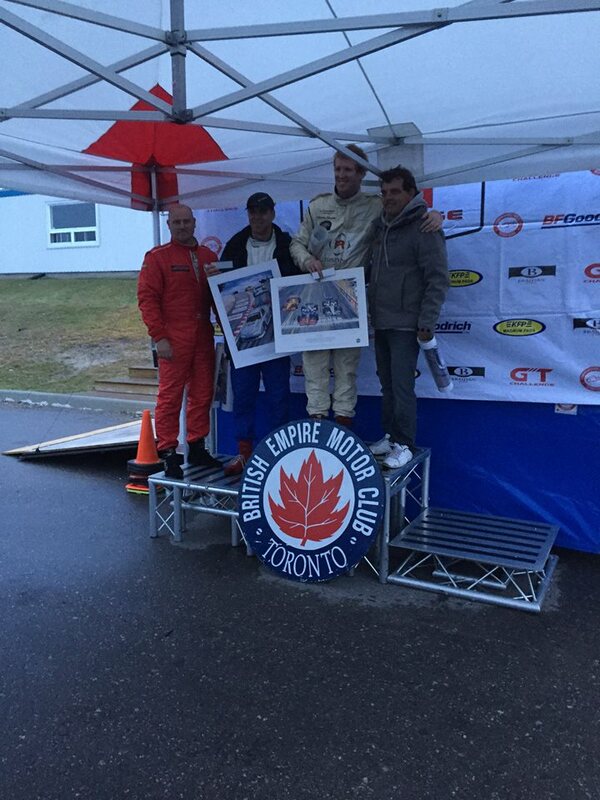 Also, special thanks to Sergio Cirne Lima who trekked all the way up to Canada to watch the event and freeze, as well as Al Balinsky who made the trek to CTMP just to entertain Sergio over the lunch hour. The driving crews of Mark Clyde and Len Clue (#68 Cougar), Malcolm Strachan and Russ Bond ( I called them Show Pony Racing in the #723 RX7, LOL) and Evan Groenke and myself (in the #23 Cougar) also pitched in to lend their skills to make it work. To the race. 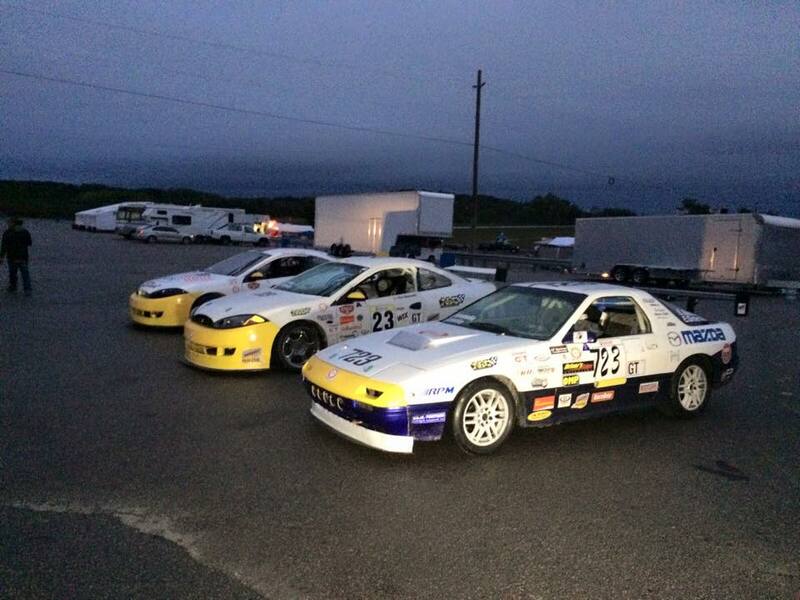 The race started in damp weather with almost all the cars on dry tires. We decided to start the race on the NA Carrera slicks and crossed our fingers that it would quickly dry out. In reality it dampened slightly after the start, however Malcolm Strachan stormed into the overall race lead in the #723 RX7 and held it for a couple of laps until he was passed by an AWD Subaru Turbo Legacy. They then went on a tear and at one point were leading 3rd place by over 35 seconds. At the end of the first Hour, we had a car in second overall, 6th overall and 14th overall, but first, second and third in GT Class. Not bad. The #68 Cougar being driven by Len Clue, came in after 80 minutes in 7th place, to refuel and go out again with Mark Clyde driving. 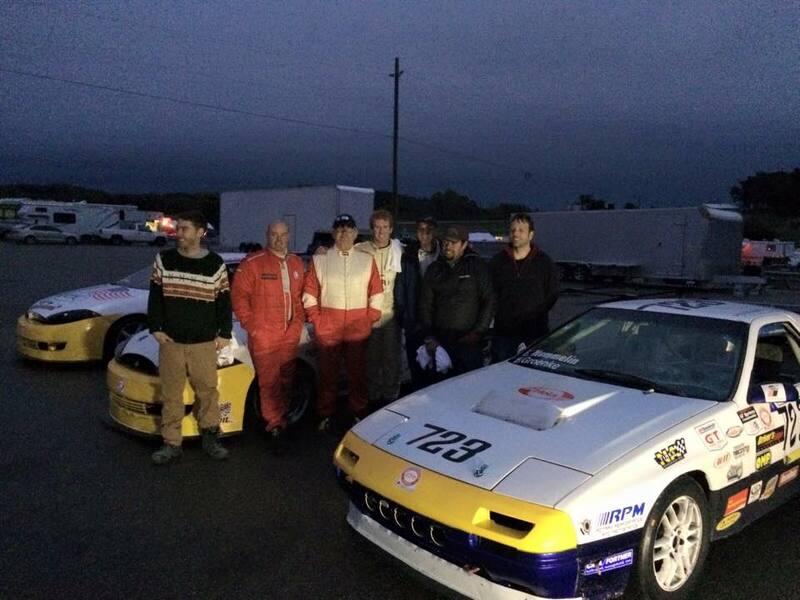 It was Mark's first race laps at CTMP and he had to do it on a damp track again on slicks. He maintained a quick steady pace for the rest of his stint until the car stopped charging and the battery ran down. It was changed over to a new battery and the team held the car in the pits until there was only 15 minutes left to go in the race and then sent Mark out again to finish the race and claim second place in GT. We now had 2 cars on the podium on NA Carrera tires. The #23 Cougar being driven in the first stint had an off near the start and then steadily improved its pace until the 75 minute mark when Evan radioed in that the pedal was soft. It was brought in for a fuel stop and a check over and we found out that the car had eaten a front wheel bearing and the car was retired at that point. With everything that happened on and off the track, we are proud of the result and our ability to claim First and Second place in the GT class. Again thanks to everyone for making this happen and we will work on a few items and be back stronger and faster for next time. I love this old beast of a car.